Hotel Gio was build in 2007, has 4 floors and is equipped with an OTIS elevator. During your stay in our hotel, you can park your car in our private guarded parking. At the first floor you can have a drink or coffee at our Bar or enjoy typical italian food at the Restaurant. 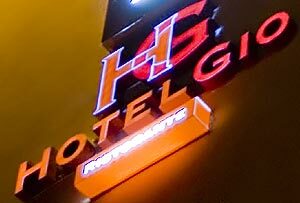 Hotel Gio has 30 double rooms, 3 triple rooms and 3 suites, all air conditioned and equipped with shower hydro massage, plasma TV with cable (including Sky), telephone, Internet, mini bar and hair dryer. The rooms are soundproofed and are furnished with elegance and simplicity, all have a modern design that conjugates the essence of the style with the warm transmitted from the wood. 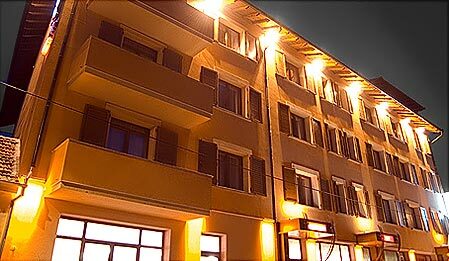 Every room is arranged in every detail, in order to guarantee a extremely pleasant and relaxant stay at Hotel Gio.